We saw this bird first in South Island in Tubbataha Reef. It is a curious bird and it rushed to meet our boat. We have always wanted to see this interesting bird and finally got a chance when WWF invited us to join them on a trip to Tubbataha. Brown Boobies nest in colonies. They lay their eggs on nests built on the ground. Their nests look like a loose collection of sticks and other materials. The adults have brown upperparts, wings and necks that are sharply contrasted with their white breast and belly. The immature birds are similarly colored except that their chests are mottled brown. The adults have pale yellow bills. Males have bluish facial skin and bluish-green feet. Females have yellowish facial skin and feet. 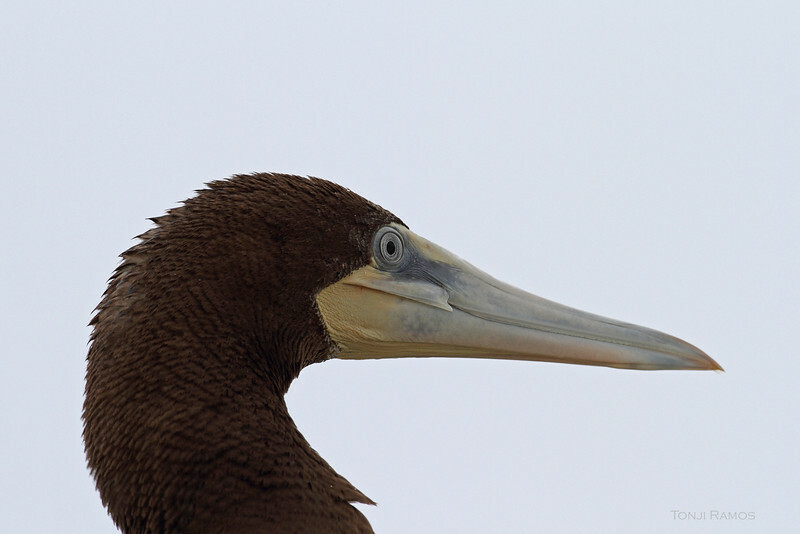 There are only a few places to see the Brown Booby in the Philippines. North Islet in Tubbataha also known as Bird Islet is the best place to see a large colony of Brown Boobies in the Philippines.